You are here: Home / Events / Ireland’s only Mental Health and Wellbeing Summit is back this year…bigger and better! Ireland’s only Mental Health and Wellbeing Summit is back this year…bigger and better! Following on from the extraordinary success of last year’s first ever “Mental Health and Wellbeing Summit”, the event is back this year and is set to be even bigger and better. 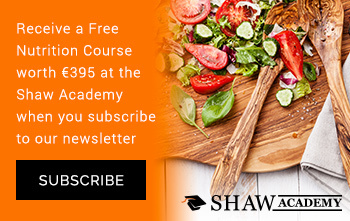 Last year’s Summit trended on Twitter in Ireland for 2 days and attracted attendees from all sectors – from top level executives at blue chip corporates to the general public to State bodies and students and medical professionals from NUIG to DIT. The Summit was a hugely positive event with astonishing feedback from all who attended and participated. Mental Health doesn’t have to be a negative thing, we can all aim for healthy minds the way we do with our bodies for physical health, but the two are interlinked, so the Summit is trying to promote and help people have Healthy Minds, so that Mental Health becomes a good thing! 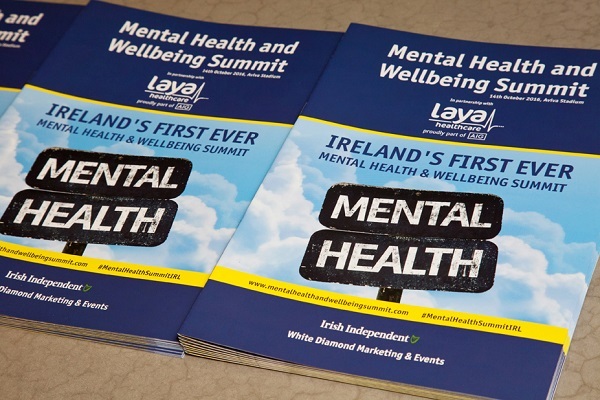 Once again, the Mental Health and Wellbeing Summit will be the biggest and most informative event of its kind to take place in Ireland and is encouraging people from all sectors to attend as mental health issues exclude no-one! This year’s schedule is packed with a range of information on mental health issues and solutions. Speakers include well known faces and contributors within and outside the mental health sector including Dr Harry Barry, Prof Jim Lucey, Dr David J Carey – Moncreiff Parenting contributor; Majella O’Donnell – mental health advocate and wife of singer Daniel O’Donnell; Dr Eddie Murphy – Operation Transformation and of course the ever-popular Brent Pope, who will act as MC for the day. Special guest, Dan Griffin, a Fellow of “The Meadows”, LA, will be travelling to speak at the Summit and will discuss addiction and trauma. There is something for everyone at this Summit with workshops running simultaneously to Keynote speaker sessions and an exhibitors area showcasing a wide range of support products and services from nutrition and fitnesss to workplace support to counselling and rehabilitation services. The idea is that people can obtain whatever information is relevant to them which is why the topics and exhibitors are so diverse from “The Fruit People” handing out apples and bananas to teenage and elderly mental health support services and products to meditation, yoga and lots more! This year organisers have taken over bigger spaces in the Aviva stadium to accommodate the numbers expected as ticket sales are already well underway. • Tickets are now available on www.mentalhealthandwellbeingsummit.com. • Early Bird tickets SOLD OUT. Group discounts available on request.